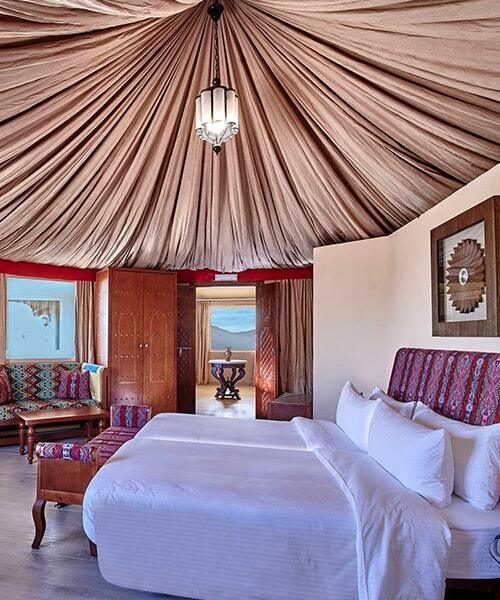 The Dunes is a symbolic representation of Oman. From primeval Omani culture, to antiquated artistry and finest craftsmanship, it is a treasure trove of the most sought after glimpses of this country. Rejuvenate to our award-winning URU spa. Where ancient Egyptian deeply-held secret art of reinvigoration will infuse new found vigor in you. 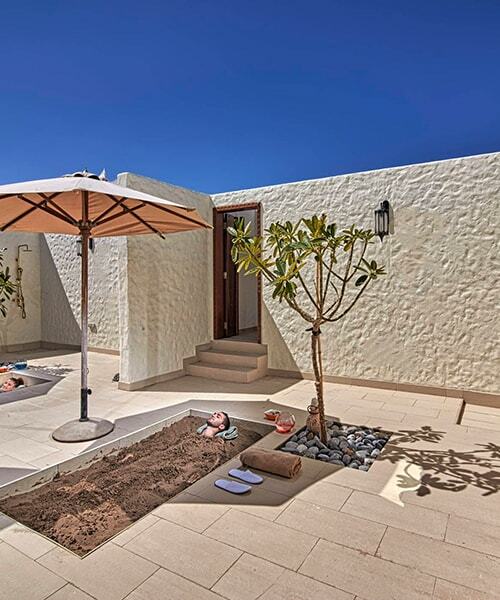 The Dunes sand spa is an incredibly pacifying therapy that is a rare treatment in the world of spa and wellness. Dwell in the abode of opulence in our luxury tent houses that are designed as palaces and adorned with affluence for your every whims. Rich plush interiors, satin draped curtains and colossally sized beds are just a few of the highlights. 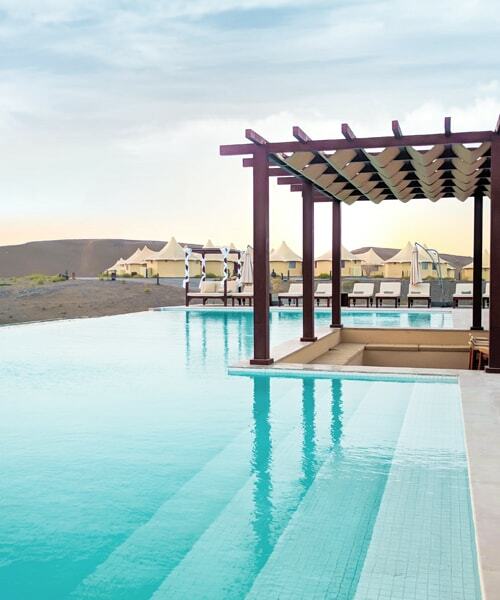 The resort is located in Wadi Al Abyad, in the South Batinah region of the Sultanate of Oman. 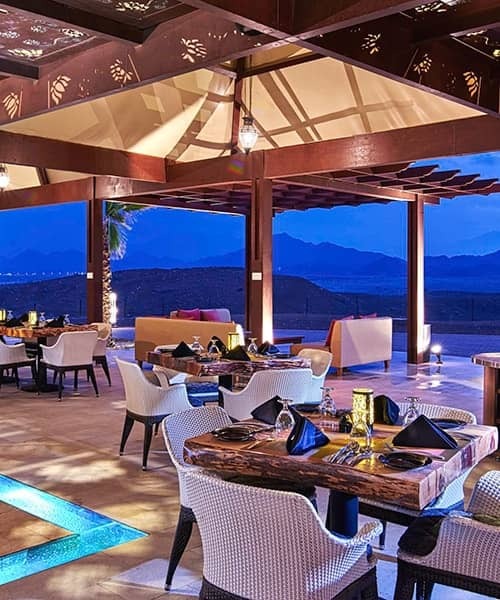 Located of the new expressway connecting to the UAE, the resort is about 95 kms south west of the Oman International airport, approx. under an hour’s drive. * Ask for our pick-up and drop chauffeur driven services, should you require one. 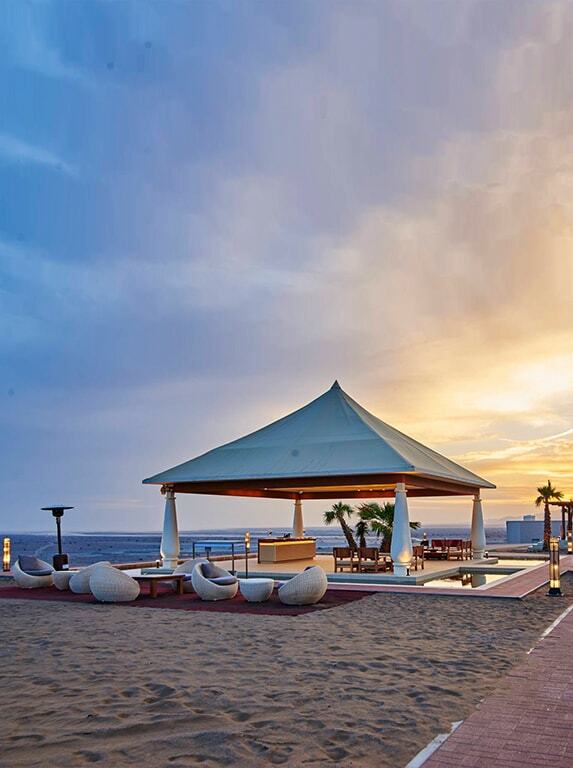 The enriching road trip from Dubai to 'TheDunes' is one not to be missed. As you embark from Sharjah-Kalba Road, you should ferry out of Dubai and reach UAE. Within a few minutes, UAE border should be on its way out as you seep into Emirates of Fujairah (Oman). Hatta, a reconstructed heritage village and Al Aqat shall fall on your way at the end of Hatta Road. And this shall be the closing chapter of roadways steeped in deserts and mountains. Thereafter, you'll rail alongside Gulf of Oman with a stimulating breeze brushing against your face. The road diverges into Batinah Highway which will take you through curvy bends alongside the Shinas Mountain. On your right is the vast mystifying Gulf of Oman and on your left are sky-high mountains. After a 70 km of blissful ride, Sohar will invite you with open arms. Sohar will offer you with a nostalgic burst of ancient merchant trading, fishery, exports and palaces. The city where Sinbad the Sailor came from is filled with mesmerizing landscapes. As you press on, Al Masnaah will be the last major city and then at Murayjat which leads to Abyad road. In less than 10 minutes you should be able to witness 'TheDunes'. The sand dunes outside the property and next to Dunes by Al Nahda over the weekend (Friday and Saturday) can have a large amount of people enjoying Dune Bashing , this may at times result in a noisy atmosphere that leaks into Dunes by Al Nahda. For guests looking for tranquility, calm , peace and quiet on their vacation at Dunes by Al Nahda , this may be a hindrance. For a peaceful and tranquil stay at Dunes By Al Nahda , we recommend a visit and stay during the weekdays from Sunday to Friday.